Nearly a year since it was sold by Vivendi Universal to private investors, online retailer eMusic has undergone a facelift that includes a panel of music critics to help users comb its trove of independent music. The revamped service, scheduled to debut Wednesday, is the latest evolution for the pioneering retailer, the first to sell digital music files online in the late 1990s. eMusic eschews copy protection technology as consumer-unfriendly, and caters to people whose tastes are largely ignored by mainstream music retailers. "We're going after the minority of the market who doesn't want to wade through Britney Spears or OutKast," said David Pakman, eMusic's chief operating officer. The major online music retailers, such as Napster, MusicNet and market-leader iTunes Music Store, sell tunes by mostly major label acts. 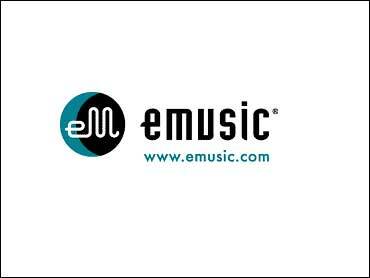 The eMusic revamp has been in the works for the better part of a year, since the company was acquired from Vivendi by New York-based Dimensional Associates Inc., the private equity arm of JDS Capital Management Inc. When Dimensional took over, it began adding staff with experience running subscription-based businesses and immediately changed the pricing model so subscribers could no longer download an unlimited number of tracks. "That was a negative gross margin business," Pakman said. "The company was losing money." While eMusic's pricing model remains the same — subscriptions start at $9.99 per month for 40 downloads — what's changed is the means by which users can search and discover new music. So the service has added its panel of so-called music curators. "What was missing from the e-Music service was a bunch of tools and features to really aid you in discovery process," Pakman said. "What was missing was the curators." Among the roster of music experts hired by eMusic are former Rolling Stone writer and author Michael Azerrad, former New York Times music critic Ann Powers and Justin Davidson, who won a Pulitzer Prize for his coverage of classical music. The critics will write album reviews, columns, and communicate with subscribers on a message board. Users will also be able to discuss or swap song recommendations with other subscribers through the message boards and other online community features. By avoiding tracks from major labels, who only make their content available in file formats that come with licensing and copy protection safeguards, eMusic has also been able to sell its content in the MP3 file format. MP3s can be played on most if not all digital music players on the market, and can be copied to other computers or burned to CDs without the limits imposed by record companies on other online retailers. EMusic offers more than a half-million tracks. The service continued to operate in the months since the new management took over and currently has 70,000 subscribers, Pakman said.